Below is a comprehensive list of hotels in St Austell. 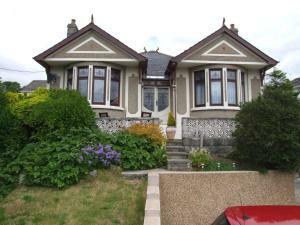 Use the sort links to refine your search or to find featured accommodation in St Austell. Many of our hotels in St Austell feature no booking fees and best price guarantee when booked through the Pictures of England website. 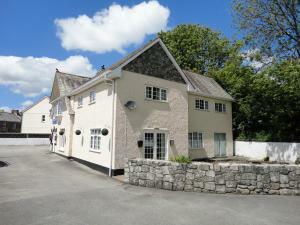 To list your hotel in St Austell, click here. 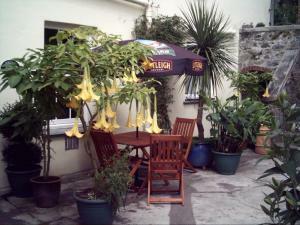 Located 4 km from Eden Project, The Old Coach House offers accommodation in St Austell. It provides free private parking. The unit is equipped with a.. Within 9 minutes’ walk of St Austell Train Station, Langdale House is a luxurious south Cornwall guest house just 6 miles from the Eden Project. Tem.. Located on the Cornish Riviera and awarded a Breakfast Award and 4 Star Gold award by the AA, The Grange is just 5 minutes’ drive from the coast and..
Seahorses offers luxury self-catering accommodation in St Austell, a 5-minute drive from St Austell Train Station. 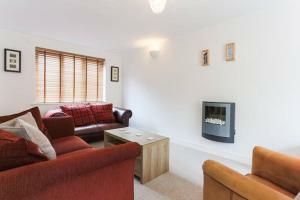 The property features a private ter.. 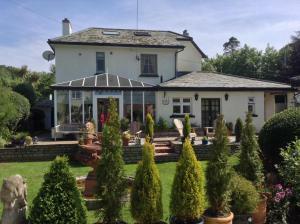 The family-run Mountview Bed and Breakfast in St Austell offers elegant accommodation 15 minutes’ drive from the Eden Project. Within 10 minutes of ..
Just 4 miles from the Eden Project, Trevanion Lodge is a 9-minute walk from St Austell Train Station. It offers accommodation with free parking and Wi..
Set in St Austell in the Cornwall Region, this holiday home is 4.3 km from Eden Project. It provides free private parking. The kitchen is equipped wi.. Located in St Austell in Cornwall, Karmary Guest House features accommodation with free Wi-Fi and free public parking possible on site. 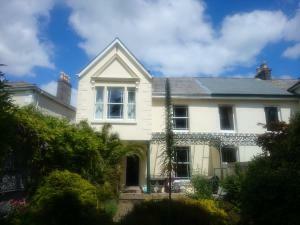 The property h..
Tregarth House is located in St Austell and 2 minutes' walk from the town centre. Free WiFi access is available. 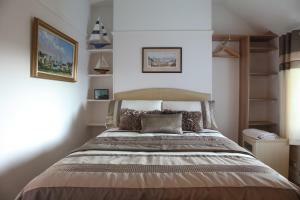 Each room here will provide you with ..
Sedgemoor Heights offers bed and breakfast accommodation on the edge of the peaceful Cornish village of St. Austell. The property has free private par.. 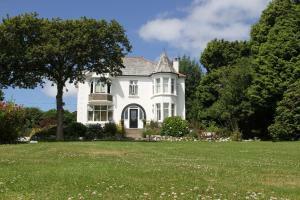 Within 15 minutes’ drive of the Eden Project and the Lost Gardens of Heligan, The Elms provides bed and breakfast in St Austell. 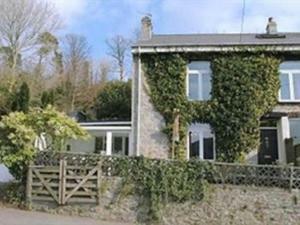 This Cornish guest ..
Bankside Bed & Breakfast is located in St Austell, 5 km from Eden Project. Free private parking is available on site. All rooms come with a flat-scre..
A 6-minute drive from the centre of St Austell, the family-run Bradleigh Lodge offers high-quality bed and breakfast accommodation on the south Cornwa..
Woodside Barns is a holiday home set in St Austell, 5 km from Eden Project. It provides free private parking. 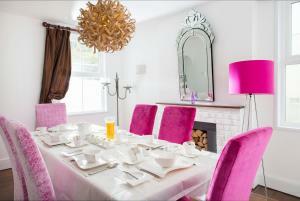 There is a dining area and a kitchen co..
Poppy Cottage is a holiday home with a barbecue, situated in St Austell. 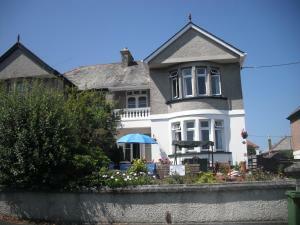 The property boasts views of the city and is 5 km from Eden Project. 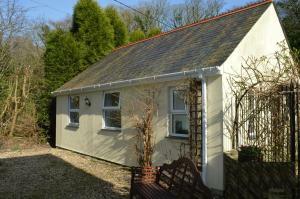 Free WiF..
Bay View is a holiday home located in St Austell, 3.2 km from Eden Project. It provides free private parking. The kitchen comes with an oven and a to.. 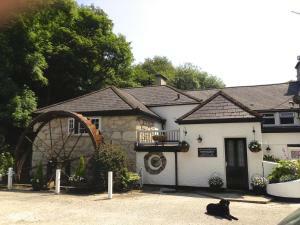 In a wooded valley 10 minutes’ walk from St Austell town, The Waterwheel Inn is surrounded by 1.5 acres of grounds. It has free Wi-Fi and free parki.. 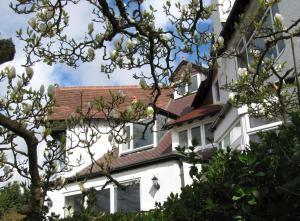 The elegant Number One Bed & Breakfast St Austell is around 1 mile from the town centre and 5 miles from the Eden Project. Its stylish rooms have en s.. 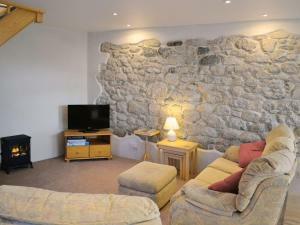 The Garden Studio is a self catering cottage set in the wooded valley of Trethowel. 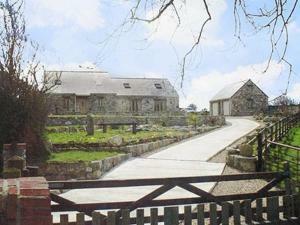 It is an ideal base for touring and exploring Cornwall's many beac..